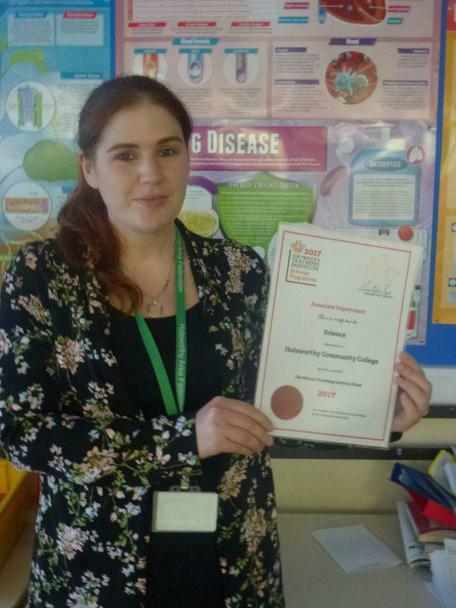 The Science department at Holsworthy Community College is very proud to have achieved the Prince’s Teaching Institute Mark this year. The mark is awarded for undertaking a research project into teaching and learning within your school. The project the Science department have been undertaking has been based on revision techniques throughout the key stages. The year 2016/17 focused on teaching specific revision techniques to year 7 so that they could develop their own revision toolkit which could be used in later years. We found a significant improvement in this year’s results compared to last year’s, which was encouraging. At the end of the year I was required to present my findings to other subject teachers in London at the Prince’s Teaching Institute Subject day, and also share my experience of carrying out the project, including any barriers we faced along the way. The project will continue for the next two years, focusing on key stage 4, which will put more emphasis on students themselves to share their own revision resources and techniques. We look forward to seeing the impact this will have on their exam results.